MUW has long been recognized for providing a private university experience at a public university value. While tuition costs are very competitive with other institutions, costs do continue to rise. Endowed scholarship funds make the difference in whether or not many deserving students are able to attend MUW and benefit from the MUW experience. All endowed scholarships are named according to the donor’s wishes, and the donor works with our staff to establish the criteria used to award the scholarship to deserving students. Each endowed scholarship donor receives an annual report on the fund that includes the name(s) of the recipient(s), the scholarship amount awarded, and the current value of the endowed fund. Please view the "What My Scholarship Means to Me" video, where MUW students explain how scholarships impact their education. An endowed scholarship fund requires a minimum of $15,000.This amount may be established with a gift of less than $15,000 with the expectation that the donor will fund the endowment over a five-year period. 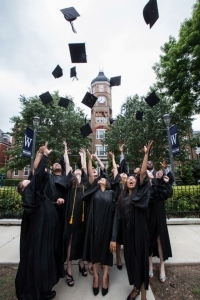 If the endowment has not reached the $15,000 minimum within five years, the fund is combined with the general MUW Foundation scholarship endowment. For information on establishing an endowed scholarship fund providing complete tuition, room, and board costs fro a student, please contact the MUW Foundation. For additional information about endowed scholarship gifts, please contact Andrea Stevens.